The last seven days have been very exciting. 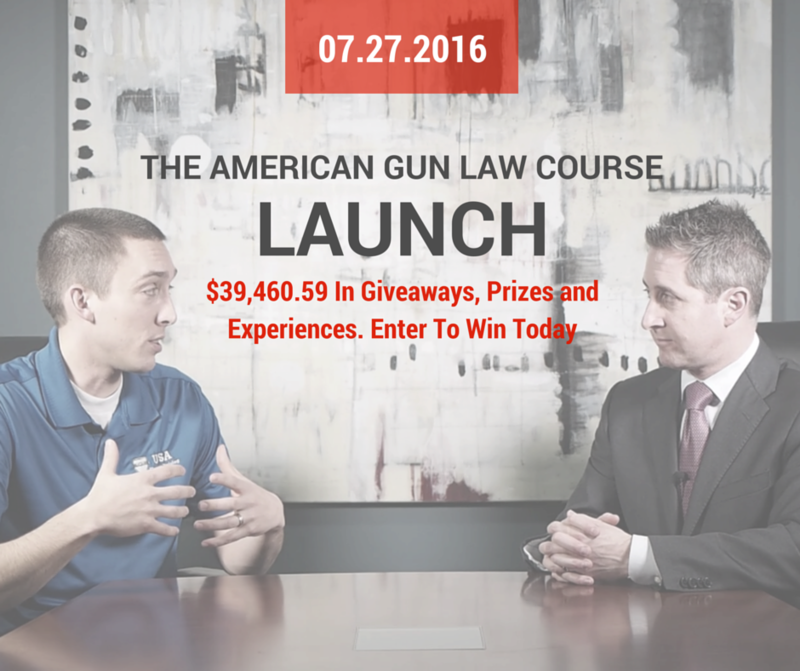 After nearly six months of preparing our American Gun Law Course, we are finally launching. On Wednesday it will be available to everyone who pre-ordered and it will be available for sale. In anticipation of this launch we have been up to some exciting things and in case you have missed the emails or the announcements on Facebook I wanted to publish this here for everyone. First and most importantly let me encourage you if you haven't already to register for and attend our no cost LIVE webinar with Attorney Doug Richards on July 26th at 1pm MST / 3pm EST. This live interview with Doug Richards will be an opportunity for any attending gun owner to ask legal questions and learn more about gun law. Doug's time is worth $400+ an hour so this is a great value. If you attend the live webinar you will have a chance to win the 2 AR-15s that we are giving away along with various other prizes!